Large | White Pleated High Waisted Chill Slacks. Made in USA by Colter. Linen Poly. 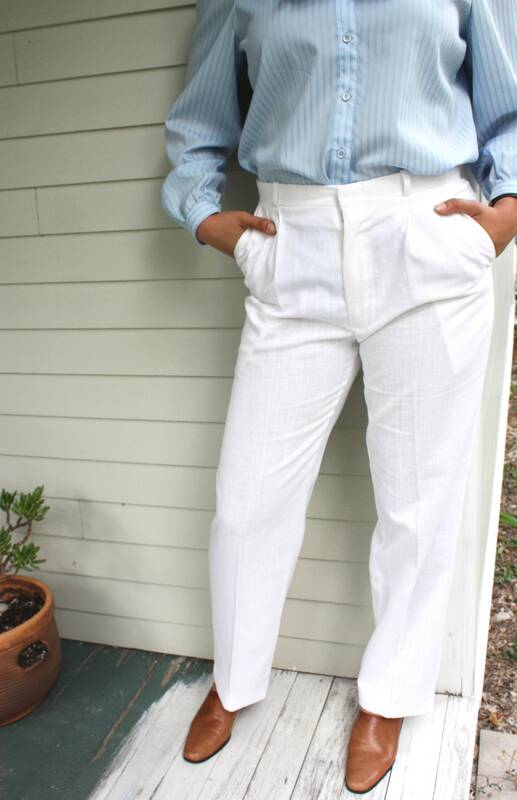 White high waisted and pleated slacks. Shown on size 6 model. Two front pockets and one back pocket with button. Made in USA by Cotler. Material not listed. Seems like linen / polyester blend.